A friend shared one of her go-to blogs with me, with the warning, “it’s kind of depressing.” It feels like we could be reaching the limits of a finite world. Not to mention, tropical fish are swimming around off the coast of BC, and the economy has shifted into a recession again. What the hell do we do about it? Apparently there’s a global run on ammunition – manufacturers can’t keep up with the demand. That’s vaguely terrifying. (Imagine if all the efforts preppers are putting into outfitting themselves for the post-apocalypse, was going into building community here in the the pre-apocalypse?!) These are the thoughts that were swirling in the background as I wrote this week’s Wellness Almanac column. All summer long, I’ve had water on my mind. 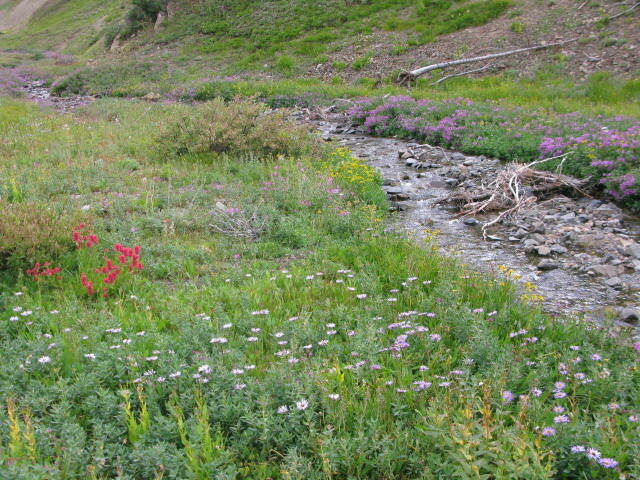 The shocking baldness of the mountains as glaciers vanished, the dry creek behind my house and my parched garden ratcheted up my water stress. 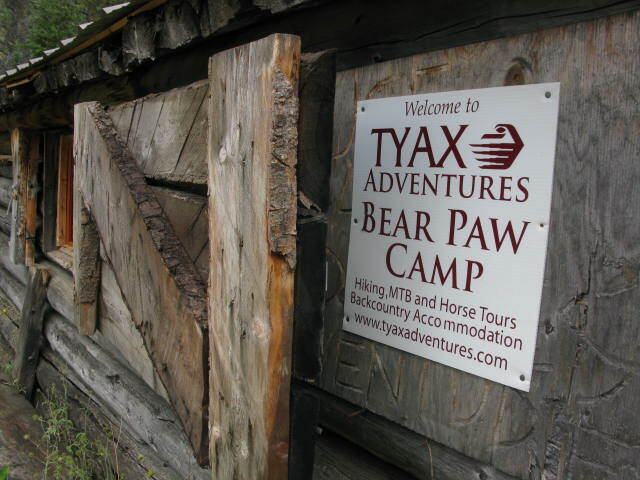 Then suddenly, at the end of August, I woke up under a canvass tent in Tyax Adventures’ Bear Paw camp, prepared to hike my bike up the Chilcotins’ Deer Pass, and it was raining, hard. 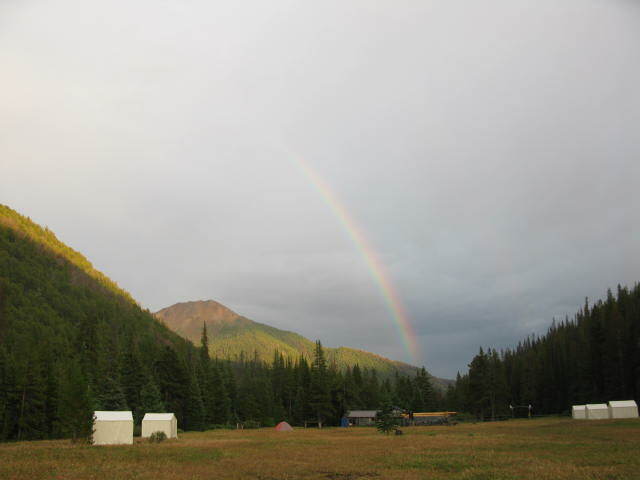 The squall passed quickly, as Pemberton’s Sylvie Allen, mountain bike guide extraordinaire, anticipated. (Nothing an extra cup of coffee in camp couldn’t cure. Thanks, Andrea.) Two hours later, our five-woman strong posse of riders had crested the pass, and from the stark alpine of 2,300 metres, a whoop-inducing hour-long singletrack descent awaited us. Trudging through clay and rock up that last push up the Pass, I had glanced continuously across to Mt. Sheba, benchmarking our progress and watching with fascination as the last of the winter snowmelt trickle-flowed down the mountain’s side in little rivulets and runnels. I’ve read the claim before that “mountains are the water towers of the world,” but I’d never envisioned just how organic and un-industrial that is. I stared at the little trickles and braids of melt that wended down the hillsides, joining up, as quickly as possible, with other rivulets, gathering force to become creek, to etch valleys, to morph and amass as stream, river and eventually lake. It struck me as embryonic and deeply poetic. I was bearing witness to the very conception of a river, peeking at an enduring primal affair between granite and sky. It was probably the altitude. No one else seemed distracted from the task of hike-a-biking and taking photos. But I couldn’t help but feel the force of this revelation: if even water molecules are drawn to other water molecules, then we humans, 72 per cent water, must be drawn to each other too. We are meant to come together. There are survivalist websites that talk about what you need if/when the shizzle hits the fan and the economic and oil system collapses. Swiss army knife and stockpile of ammunition are recommended. 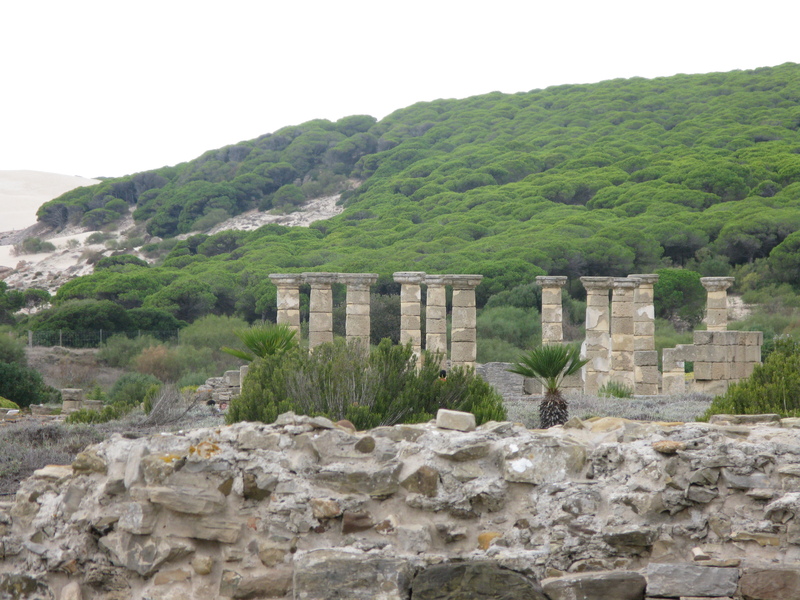 A decade ago, I visited the ancient Roman ruins at Baelo Claudio. Situated on the southern tip of Spain, it was a major sea trade port and a fish-salting factory in its heyday of 41 A.D. It had temples, a forum, baths, a sewer system and three aqueducts that supplied the town with water — sophisticated, gravity-fed public engineering works that the Romans were famous for and that have rarely been reproduced in modern times. We may have a measureless amount of information at our fingertips today, but data doesn’t make us smarter. Just because the amount of information available to us has exploded since Roman times, our ability to absorb that into bodily knowledge has remained constant over millennia. So, the crucial difference that determines whether a community has enough clean water for everyone, or is in total disarray boils down, quite simply, to the way we organize ourselves. Stockpiling ammo or practicing playing well with other kids? I know where I’d rather put my energy. This piece was first published in the Whistler Question, on 1 September 2015.